Author Jacquelyn Mitchard is back with her latest novel, Second Nature. Her first novel, The Deep End of the Ocean, was named by USA Today as one of the ten most influential books of the past 25 years. It was also chosen as the first novel in the book club made famous by the TV host Oprah Winfrey, and transformed into a feature film produced by and starring Michelle Pfeiffer. 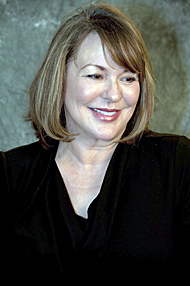 All of Mitchard’s novels have been greater or lesser bestsellers – and include The Most Wanted, A Theory of Relativity, Twelve Times Blessed, The Breakdown Lane and Cage of Stars. Critics have praised them for their authentic humanity and skilful command of story. Readers identify because they see reflected in her characters – however extreme their circumstances – emotions they already understand.